Most of our security camera video recorders feature dual video outputs that include a VGA and HDMI connector. These two video outputs display the same exact screen, meaning what you see on your VGA monitor will be the same as the HDMI monitor. They will not allow you to have your cameras split between two screens. For customers looking to have their security camera system displayed in a split screen view between two monitors, we suggest the purchase of our recorders with Dual HDMI outputs. January 15, 2019 by Matthew Rossi. In this comprehensive video guide, we demonstrate the plethora of basic functions that our security camera recorders have to offer. 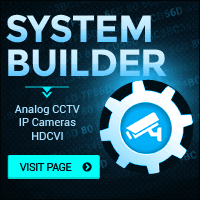 After you purchase your system, this guide is a starting point for learning how to use your security camera system. We start from learning to login to the recorder, and end with downloading video from the recorder and playing it back on your PC. For other functions, feel free to check out our DVR NVR help section. December 13, 2018 by Don Stephens. July 17, 2014 by Don Stephens. April 15, 2014 by Don Stephens. March 24, 2014 by Don Stephens. CCTV systems are highly customizable and can be configured to fit the specific needs of any user. One optional component that can be added is the PIR sensor which stands for Passive Infrared sensor. PIR sensors are motion sensors commonly used in home security systems but can also be added to some of our security camera systems. Using this additional sensor, you can configure your camera system's DVR recorder to do a number of different things based on what you specify. March 21, 2014 by Don Stephens. March 18, 2014 by Don Stephens.